Archivo Diseño y Arquitectura in association with Domus International magazine presents Archivo Pavilion, an initiative that seeks to transform the use of the garden of the new institution to offer a space where it could hold diverse public activities. 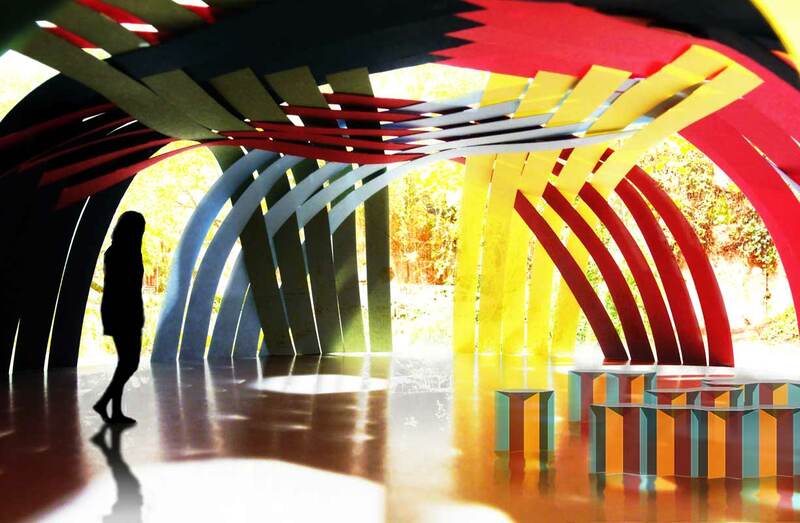 Through a temporary intervention, the proposal extends the garden and creates a spectrum of color based on simple weaving technique similarly found in traditional basket weaving. So without proper preservation, much of the history of basket making has been lost and is merely speculated upon by indigenous women. 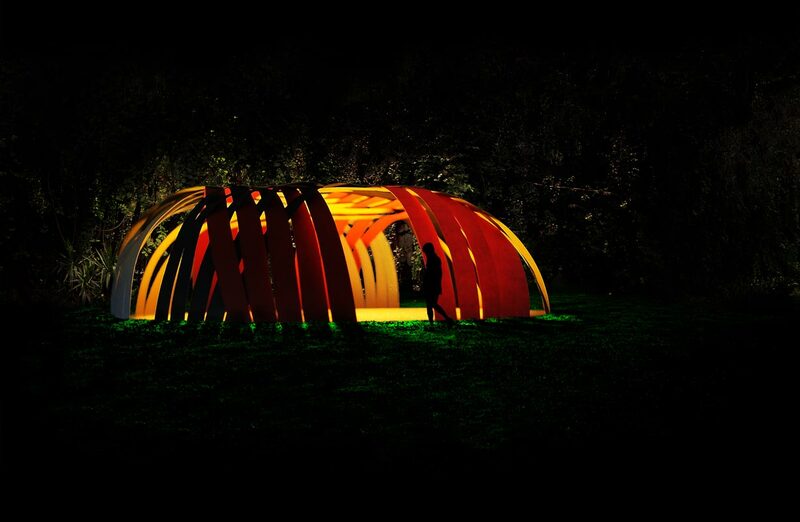 Archivo Pavilion was designed to be made by craftsmen using grass and metal.